Chris Newsome took this image of NGC 7789 in the early hours of 24th July 2006. He used a Celestron C8-NGT and a Canon EOS 300D camera fitted with an Astronomik CLS filter. This set up was guided via a Meade DSI camera and a Skywatcher 80T telescope using a GPUSB autoguider interface controlled by MaximDL. 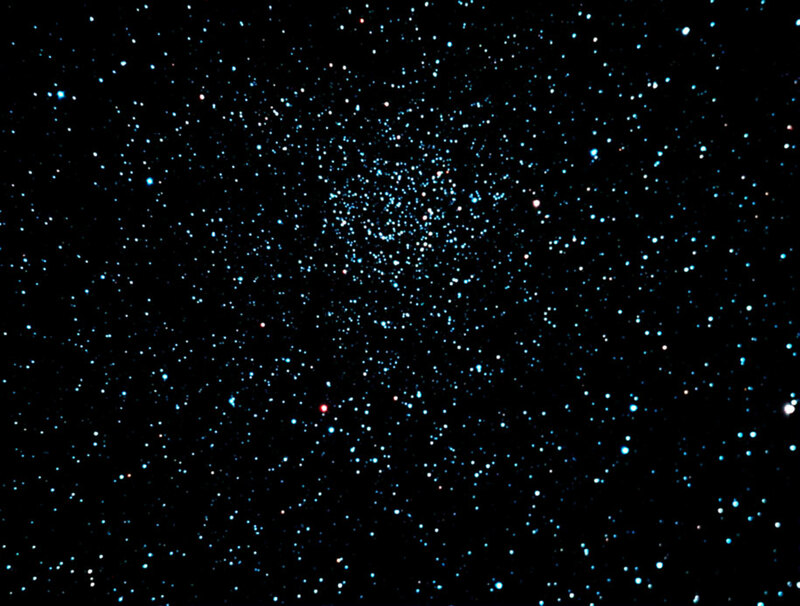 The image comprises ten 360 second frames at 200ASA, calibrated and combined in MaximDL and then processed in CS2. This image made Picture of the Week on the British Astronomical Association (BAA) website in July 2006.